Read about the Venice luxury hotels I recommend. If you have the possibility,, Go! It’s a lifetime experience. It was the Bauer II hotel Venice Italy,, The hotel Bauer II Palazzo is located in a prestigious historical palace near St. Mark's Square. 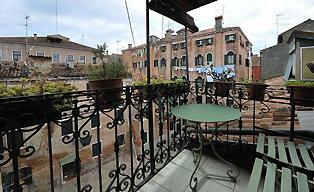 It offers panoramic views of the Grand Canal. The rooms have large Venetian marble bathrooms. A daily breakfast buffet is served on the rooftop terrace with exclusive views of the skyline. The quality restaurant ´De Pisis´ serves every evening and when finished you can enjoy drinking a glass on the terrace of 'Bar Canale'. The hotel has a Jacuzzi on the roof that can be booked in advance. And there are extensive spa facilities at the sister hotel 'Bauer Palladio Hotel' on the island of Giudecca. A free shuttle connects the two hotels. Hotel Gritti Palace Venice Italy: The famous writer Hemingway stayed in this 15th-century hotel located on the Grand Canal. Re-opened in 2013 after a restoration for a 15 month period. It is very romantic because you can dine next to the waterside. 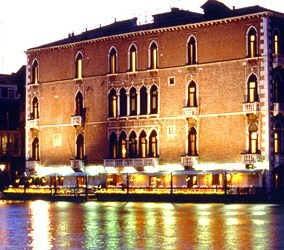 The hotel was built in 1525 as the residence of Andrea Gritti, the Doge of Venice. The hotel is ideally located in the heart of Venice, just a short walk from Piazza San Marco, the Basilica, the Doge's Palace and Venice's best shopping district. 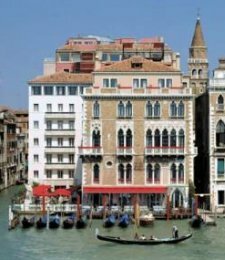 Hotel Cipriani Venice Italy: A beautiful view from its own island Guidecca, hotel Cipriani is across the water to Piazza San Marco. A short boat ride will take you to this paradise. Its own garden with a salt-water pool and a total of 3 top restaurants, makes it worth to book this hotel. 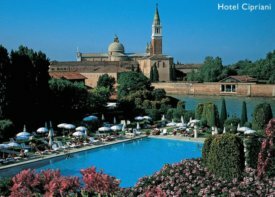 "If Venice is a theater, Hotel Cipriani is the Royal Box"
I have shown you which luxury hotels I recommend. There is plenty to offer, as you will read. Please click futher to explore my site more.